''The Black Elephant'' is a gentle painting where the scale and majesty of the elephant is paramount. Ann Shrager uses subdued tones to create a painting with a dreamlike quality. Ann Shrager art work is inspired by her travels. 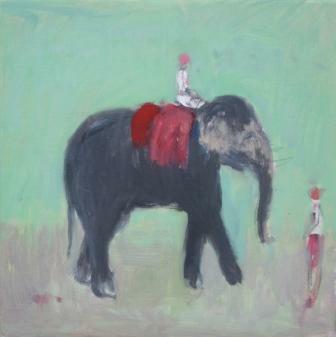 Recently images of India feature predominantly in her contemporary paintings.